This looks like a great project. 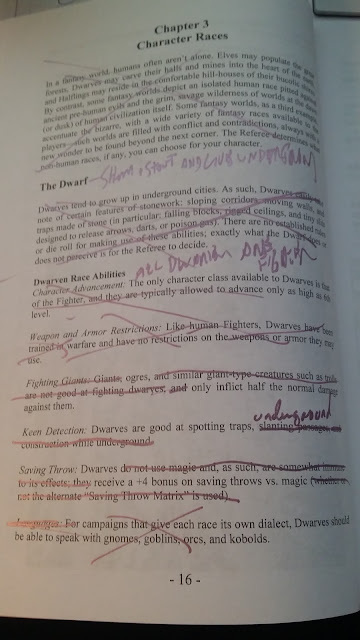 However, there are a lot of pages due to the nature of the rule set. For example, the different XP tables for the classes should be reduced to a single universal table. Throw out the prime attribute XP bonus/penalty as well. It would be great if the thief class could also be included. I think the best house rule book for White Box is Jimm Johnson's Planet Eris. It includes an excellent thief using only d6s. That's a cool "short cut," Erik. as the goal is to make this compatible with the various flavors of S&W, I'm not sure how far off the reservation we can go and retain that goal.